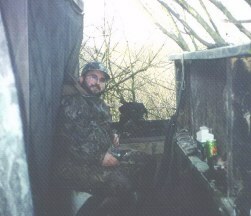 Roger is an avid Duck and Goose hunter. Always up for the hunt, give him a call and set a date to go to the blind. A great club member and super nice guy, call Roger and set up a training date. Stud: Turbo is availible for stud service. Give Roger a call to discuss your stud needs. 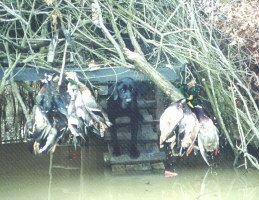 Very much at home in the blind Turbo never tires of bringing in the DUCKS! As this photo proves Roger and Turbo both are very much at home in the blind. They make a great team! 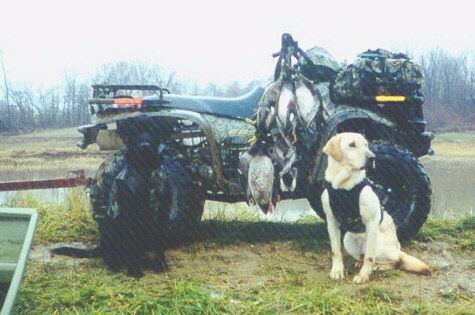 Turbo after another successful day with his hunting buddy Gunner, owned by another former Club President Chad Wilson.